Dossé-Via Trenou-Wells is a French and Togolese astrologer who has been studying the field for over 14 years. 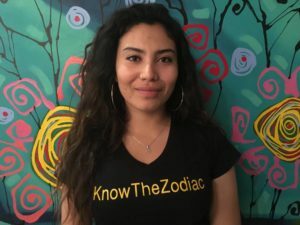 After being introduced to astrology by her parents, she began analyzing her own birth chart as well as those of her friends and family, and astrology became her passion. 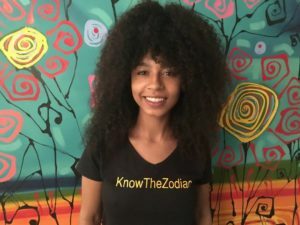 In July 2011, when Dossé-Via was a freshman at the University of Southern California, she created her Twitter page @ScorpioMystique, where she shared knowledge about her zodiac sign, Scorpio. 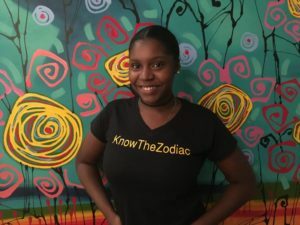 Dossé-Via now shares astrological knowledge with all 12 zodiac signs via her page @KnowTheZodiac. She offers birth chart readings, transit forecasts, compatibility reports, private consultations, and daily, weekly, and monthly forecasts to customers all over the world. She is also the in-house astrologer for SexZodiac. Dossé-Via views astrology as a tool for self-empowerment and self-understanding. She graduated with her Master’s degree in English Education from Teachers College, Columbia University in May 2017, and has been working as an entrepreneur full-time ever since. Get in touch with Dossé-Via at hi@knowthezodiac.com. PS: In addition to being an astrologer, Dossé-Via is a mother, wife, and professional model. To learn more about her, visit her personal website here. 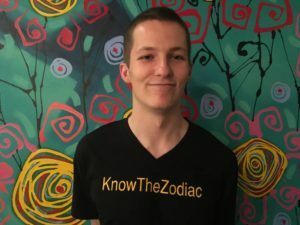 KnowTheZodiac is composed of a team of astro lovers who help enlighten humanity with accurate horoscopes and astrology content on our IG pages: @knowaries, @knowtaurus, @knowgemini, @knowcancers, @knowleo, @knowvirgo, @knowlibra, @scorpiomystique, @knowsagittarius, @knowcapricorn, @knowaquarius and @knowpisces. I’m India! I’m a 26 y.o. Sagittarius with a Scorpio Moon and Ascendant in Capricorn. Dossé and I met while both majoring in Narrative Studies at USC, where she sparked my interest in becoming an astrologer. I co-write daily horoscopes for KnowTheZodiac, manage the KnowSagittarius Instagram account, and produce the KTZ podcast. I also produce tunes with my team Electric Butter, and sing lead for my band India & The Jones. My favorite thing about being a Sag is that we’re relentlessly committed to authenticity and individuality! You can find me creating in my treehouse in DTLA with my partner Projay and our dog León. Hi Angels, I’m Amani. I’m slightly obsessed with lighting candles, drinking tea and healing on the yoga mat. I am also a Scorpio Sun with an Aquarius Moon and Leo Rising. Alongside content production & managing KnowTheZodiac, I am a mental health advocate and Editor-In-Chief at Sad Girls Club. Overall, I like to think that my energy is infectious (thanks to my Leo rising), but being a Scorpio is one of the most magical traits about me as I am constantly undergoing a process of retransformation. Hi, I’m Alexa! I went to undergrad at USC and I’m currently in an MFA program at the USC School of Cinematic Arts. I live in Los Angeles, CA. I was born on May 28, 1992, making me a Gemini Sun, Cancer rising and Aries Moon! I love high fantasy and science-fiction novels, going for runs with my dogs, writing screenplays, and learning about traditional medicine and cultural esoteric practices. In terms of my sign, I love the independent and highly eclectic nature that comes with being a Gemini. Hi I’m Chris! I’m 25, born 4/22/1993 in Coral, Florida. I’m a Taurus Sun and Moon, and my Rising sign is Sagittarius. I’m passionate about volleyball, food, astrology, traveling, and the beach. My 3 favorite Taurus traits are our loyalty, perseverance, and consistency. I’m Chelsea! I’m 25 years old, born and raised in Los Angeles, California on April 3,1992 at 4:09 am making my sun and moon in Aries with a Pisces rising! I am passionate about all things fashion, astrology, real estate and being an entrepreneur! I love being an Aries because we are the first sign of the zodiac and we’re funny, fast and fierce! We grab life by the horns and don’t take no for an answer! 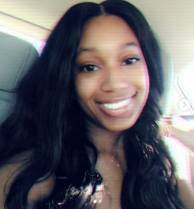 Hi, I’m Jazmyn! I am a 21-year old Cancer. I was born and raised in Atlanta on June 26, 1997. Peace Up, A-Town down! This makes me a Cancer Sun, Moon in Pisces, and Ascendant in Gemini. I love to travel, eat, and I’m also looking forward to broadening my horizons. Now that I am a first-time mom, I have become more adventurous and creative with my ideas. I have developed a passion for the medical field and I’m currently striving to become a future nursing student very soon. I’m passionate about helping others, creating a beneficial future for myself and my family, and growing to become a better woman everyday. Being a Cancer involves independence, nurturing, and creativity all in one and that’s what makes us unique.